Remove the saxophones and all of Linda Spa's wind instruments in the music of Tangerine Dream, the Miramar years, and the result would doubtless be at the sonic image of TigerForest. As much incredible as it can seem; this group of the German musician Gunnar Spardel exists since 2007 and does not even appear on the famous encyclopedia of EM daily updated by Artemi Pugachov. What is wrong? What makes that 8 albums farther, the name of Tigerforest is absent in the media spheres of EM? Or almost! I had the album on my hard disk since a good little while and the first attempt has hardly incited me to write about it. I heard a kind of e-rock which exploited the same thematic core with 3 tracks sung. I afterward listened to the Podcast of July 17th 2014 (that I advise you enormously to listen to) of the English magazine Sequences, and I was intrigued by a good and very TD style of electronic rock; "Touch the Sky". The group? Tigerforest! Another track was also present on this broadcasted list, the very poetic "Asylum Harbor". And I was intrigued at once by both paradoxes. I said to myself; well, well I have to dig more seriously into this album. A very good idea. Without saying that Tigerforest has reinvented the wheel, this group of Gunnar Spardel offers a very energetic EM with a rich sound creativity. 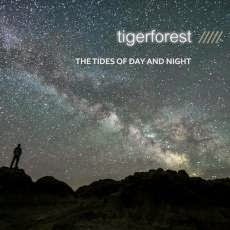 “The Tides of Day and Night” is Tigerforest's 8th album. And this title reflects well enough the universe of an album where the kinds crisscross with such a flow as it is sometimes difficult to label the kinds. Except the very net resemblance with the period of TD's Turn of the Tides, what struck the most on this album is this very careful production whose very beautiful sound wealth which overflows on each piece of music, either by an avalanche of electronic tones, very energetic e-percussions, multi layers of synth to colours of romance or of violence and arrangements of which the subtle variances flow with a surprising symbiosis. A strangely dramatic ambient track "Asylum Harbor" plunges us into a bottom sea with tones of ballasts which get lost bit by bit in an intense ambiospherical broth. The music is very immersive with dense synth layers which flow with thin sibylline voices and with notes in search of a melodic skeleton which seems to drown themselves in a profound abyssal fall. Too short? Not really because "Across the Silent Seas" takes back these moods of hadal claustrophobia to quietly emerge out of the oceanic depths with a timid rhythmic approach of which the growth remains very melodious. Light riffs and percussions which click with shyness are forcing a rhythm which stays prisoner of its astral envelope. The sensation of getting out of the tropical waters is as tangible as this sweet ethereal melody which joins us in our first breaths of air. It's there that I made a first link between the music of Tigerforest and the one of Turn of the Tides. And the striking "Touch the Sky" will root this perception. It's a solid e-rock where is only missing Jerome's guitar. We like? We shall certainly like the ferocious "Find the Tree", "The Endless Road", "Amanyara" and the very intense, we are at full ears here in a huge cacophonous e-rock, "Chasing Starlights" which offer a sensible balance between the leaden rhythms and the ethereal moods. This is what was missing in this period Miramar of Tangerine Dream! "For the Minutes" is also a strong e-rock, kind of Pat Benatar, with a beautiful small ambient passage, where the beautiful voice of Jennifer Herschman suits very well to this ambivalent universe of Tigerforest's electronic and ethereal rock. "Why Don't you Answer" is a charming ambient ballad where the voice of Kim Barry will awaken in us some recollections of Enya. This is a bit of New Age which is as delightful as "Geometry of Shadows" which is another sweet ballad with a poignant intro where synth tears are oozing into a dense ambiospherical veil rather dramatic. These ambiences to make crying a nail are fading away while "Geometry of Shadows" switches into a beautiful down-tempo fed by notes of a dreamy piano which fall in cascade in a rich sound texture and of which the abundance feeds both the ambiences and a soft rhythm rather astral. This exceeds the borders of New Age! The recipe of Tigerforest remains as simple as effective; Gunnar Spardel multiplies synth layers, by giving them most possible colours, in moods where roam a sonic fauna of quirky tones. So the textures are rich and assail our ears with kaleidoscopes of irradiant colours. "Awakened by Silence" is another sweet ballad which brings me closer to the very electro to folk style of Darshan Ambient. This is very beautiful and so much touching. "Aqua Marine" dips us back into loud, but always so musical, ambiences with a 2nd part explosive of feelings. You doubtless have in mind a beautiful love scene where both lovers run towards them on a beautiful beach with a background immensely blue! This is the kind of music that would play. But everything of “The Tides of Day and Night” cannot always please me! And so I won’t comment "My Silent Mystery" which is a big synth pop a la Duran Duran. More than 25 years after Reflections, and 25 albums farther, David Wright always thrones at the top of the English electronic sphere. Navigating always on the streams of controversy from the criticisms and his peers (is it EM or New Age), the famous English musician disregards these comments and keeps the cape on an EM which seems to have neither ages nor borders. 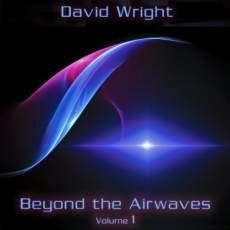 “Beyond the Airwaves Vol 1” is built on 4 themes which show the great ease of David Wright to pass from a style to another one while keeping this melodic flame which characterizes his compositions. Three of these segments are some unreleased music that the musician of Kent has performed during concerts he gave between 2012 and 2013, while the last phase hides around 30 minutes of a deep reworking of the last segment of his classic; Walking with Ghosts. An album which, you will hear, is not that much far from this timeless classic. Winds carrier of birds' singings, of stars and of murmurs of the goddesses push "Drifting In" up to the tributaries of our ears. The tone is ethereal and David Wright's sonic wealth is increasing quite slowly with ill-assorted noises which spread a veil a bit dramatic. The hoops and the curtains of cosmic pearls pull the ambiences towards the delicate wave-like harmonies of "Gravity Waves". Muffled pulsations caress these oniric undulations while that other pulsations, this time with a kind of rubbery reverberations, harpoon these ambiences which quite slowly are buzzing between our ears, such as a soft linear morphic techno. Follows then the very first melody that will haunt our hearing for coming hours. We can say whatever we want about David Wright, but a fact remains; he is the biggest weaver of musical itches in the field of the modern EM. Here, the synth borrows clothes of trumpets saddened by an astral cold and sings some sweet harmonies with a delicate oriental perfume, so unique to the Wright signature, which are grafted to a rhythm just as much harmonious. A rhythm which exchanges subtly its skin without ever breaking up the melodic barrier, pouring even into some delicate lunar ambiences with "ISEE3" before getting back with more sweetness in the superb arrangements of "Forward Motion". Chords of a kind of e-guitar spin slowly at opening of "Strange Inventions". A light sonic whirlwind drags in its weak rotations of winds a stride of mislaid notes which all slowly stick to a rhythm which gallops on the plains of thoughts. David Wright lays down then some romantic notes of piano which fall like flakes of harmonies on a structure of rhythm whose light drumming is mislaying us in a kind of aboriginal structure. "Strange Inventions" becomes then a long nostalgic thought murmured by a piano and where the turbulence of the winds gives way to a very beautiful synth which sings a too beautiful serenade for remorseful ectoplasms. We are not us so far from Walking with Ghosts here. Especially when "Dream FM" flies on the finale to bring us quite slowly towards a livelier and clearly more electronic structure with a movement of sequences which goes increasing and percussions which contrast with these angelic voices which caress as much our sense of hearing as this melody strummed throughout "Strange Inventions". It's like reading Edgar Allan Poe mixed with the romantic poems of Victor Hugo. Very good and rather intense, David Wright is in great shape. On a structure of rhythm as much galloping as that of "Strange Inventions", "Stratos" makes our feet dance a bit in a good clanic electronic rock from the people of sands. The arrangements are superb and this track really fetches the best rhythmic elements of "Strange Inventions" and "Dream FM". And after we enter into another chapter, a new finale of Walking with Ghosts. Dark winds replace the piano and the birds chirping of the original "Penumbra". Here the ambiences are dark and unfold multiple synth layers on a rhythm which gallops slightly on its sinuous pulsating sequences. A dense wave with tones of an old organ wraps these sequences while that a delicate melody, forged in the seraphic moods of “Beyond the Airwaves Vol 1”, waves casually on a passage which subtly lets filter some vestiges of its first draft. It's full of innocence. "The Gift" cries out its breezes of synth to philharmonic caresses and angelic voices which are floating on a rhythm which little by little gets loose from its galloping approach to dive into a structure slightly more technoïd. The felted bangs-bangs and the rattling cymbals are hammering a rather lively rhythm where swirl beautiful harmonious stroboscopic lines and spin good solos of which the charms melt marvellously with the seraphic choir. We feel the first fruits of the original on a clearly more electronic and more ethereal cachet. "Acheron" gets rid of its original ambiences to offer a structure of rhythm slightly oscillatory with sequences which gurgle on a strange gleaming surface. There also the harmonies that David Wright plays remind vaguely this delicious parallel that we just cannot ignore between “Beyond the Airwaves Vol 1” and Walking with Ghosts. "Acheron" slips itself away from those ethereal moods before that "C'est la Vie" knocks us out again with these dense layers of an organ as dark as that of the Ghost of Opera which also opened the original piece of music. Moreover this track is really the only one to lean on its first envelope. The harmonies and the rhythm are sharply more amplified and detailed. One would say of hearing e-rock a la Jean Michel Jarre out of his post—Oxygene era. "Partial Eclipse" ends this David Wright's new sonic chapter with this structure of rhythm finely drummed which galloped throughout the 72 minutes of “Beyond the Airwaves Vol 1”. But here the rhythm makes itself discreet. We hear it on the quiet letting the room to a delicious piano which refrains from being only melodic, just to plant well these harmonious seeds which will germinate a long time after we will turn off our hi-fi and which nest very close by, but very close by, of his Walking with Ghosts. Magnificent and delicious! This is some great David Wright we are having here. I am impatient to hear the second volume which is planned at the beginning of 2015. Michel Huygen knows how to keep his fans on a wave of incertitude. 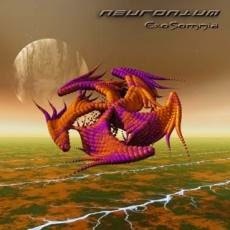 From album to another one, we can never tell what to expect from Neuronium. After a rather ambient album, that slightly brushed a sometimes rather meditative New Age, in Etykagnostyka, Neuronium throws a line to his fans that are missing the golden days of his aggressive mystic music with an album which breathes of a violence splendidly contained by these synth pads of ether so unique to the repertory of the Spanish group. Chords of acoustic guitar drag their imprints of nostalgia and feed a subtle Latin festive mood which accepts gladly the soft breezes of an astral divinity from a voice a bit suggestive, if not kind of sensual. Soft synth pads weave violin sighs which gather the melancholic harmonies of a dreamy piano and cover these ambiences of which the union becomes charmingly seraphic. Purely ambient and ethereal, "Psychic Smell" exchanges its first seconds for a static rhythm which jumps with percussions and with their rebel knocks which embrace a rather metallic tone, showing so the paradoxes which wait for the listener through the next 60 minutes of “ExoSomnia”. We take a look at the splendid artwork and we understand that the universe of this 39th opus from Neuronium hesitates between light and dark, between be asleep and being awake. This soft synth voice which caresses with so much sensualism our senses opens the moods of "Five Parsecs from Home" of which the intro is as much passive as that of "Psychic Smell". A line of sequences escapes from it and makes drum its keys which skip and jostle in a narrow corridor, confining so a static linear rhythm which sparkles under beautiful synth pads of which the twists follow the sweetness of flutes and celestial voices and that the ringings of bells amplify in an approach of very ambient kind of New Age. "Alienophony" offers the most beautiful moments of “ExoSomnia”. Its intro is sewn by slow morphic veils which float such as the sighs of a seraphic night. An a little more threatening line is blowing some strange lamentations, deducing doubtless that the peace of mind also possesses its alarming reflection. This balance between light and dark, beauty and hideousness, floats constantly to the mouth of our ears. If "Alienophony" succeeds in escaping from it, the track floats in a superb morphic ballad with sequences which weave a peaceful rhythm and of which the perpetual twisted routes roam in the tears of a synth to tones as seraphic as symphonic and in these groans also which go and come as fascinating, but very discreet, as the snores of a dreamer in taken with certain turbulences of his dreams. Santi Picó's soft guitar returns to spread its charms on the intro agitated of lappings which make jump the delicate ambiences of the very meditative "Pareidolia". Skillful and very concentrated; Santi Picó makes sing his guitar with finely pinched notes which meet the singings of stars. Sibylline reflections flood little by little the moods while some dense veils of synth add perfumes of ether. And "Pareidolia" falls asleep in the sighs of one thousand violins and cellos, freeing sequences to the metallic glints which skip in guttural devious breaths. A real fight between contemplativity and disturbance seizes "Pareidolia". The rhythm becomes then heavy and extremely intriguing with sequences of which the lost steps are running among hoarse breaths and a mixture of solos and harmonies from the synth and guitar which reminds me the universe a little twisted by Robert Fripp. But Michel Huygen keeps a close watch, as well as to bring back "Pareidolia" towards paths a little more melodious, testifying of this constant tearing between the serenity and the anguish which torments the depths of “ExoSomnia”. Heavy sequences jump up violently at the opening of "And Man Created Gods". The rhythm is hyper active and skips furiously with the complicity of organic tones before stumbling over some morphic synth pads which spread a virginal white shroud. Fluty singings exorcise the vestiges of a rhythm which returns but in a more docile form. Complex as one pleases; "And Man Created Gods" has all the assets to reunite Neuronium's first hours fans. On a structure sometimes aggressive, very aggressive, and sometimes more meditative, if not very enigmatic; Michel Huygen pours nasal sound solos among which the howling twists wind up around a long movement fed by iodized mist and which hesitates between peace and its rival. A movement which gets separated a little after the 9th minute in order to charm even more our ears with a very beautiful structure of sequences whose bass rhythmic conjugation, as well as dense chthonian clouds, go as far as shaking the ashes of Phaedra, allying the psychotronique approach of Neuronium to the vintage Berlin School of Tangerine Dream. This is a long puzzling track which shows that Michel Huygen has some more music to offer. Very good! "Time to Dream" ends with a wonderful electronic ballad filled with this Neuronium seal of the beautiful vintages years of the Spanish group. Structured on the ethereal sweetness of "Psychic Smell", the rhythm is more stable and ends an album with a music that we considered disappeared for ever and which is very good to hear again. I was surprised, I must say. I thought that Neuronium had lost itself in the docile territories of ambient music or New Age. Obviously, that is far from being the case! “ExoSomnia” is a superb album which embraces harmoniously all the array of Neuronium's styles. A very beautiful surprise! Resonant and podgy keys brush delicately the surface of the sound, dancing so with some discreet bass pulsations and percussions which let hear their felted bangings in the airs of a cosmic techno. "The Green Illusions" starts this last opus of Vanderson in a mode of cosmic dance music. The rhythm is delicate, sometimes slightly tremulous, and decorated with a beautiful mixture of percussions and sequences of which the variances rock a beautiful lunar ballad. I don't know enough the music of Vanderson to say that his last album takes him away from his style which is usually the one of Berlin School. It is rather one of my good friends who pointed out to me that the Polish synthman had downright modified his style with “Abyss”; an album which exploits much more the soft rhythms of a kind of IDM than the structures to the pleasant aromas of improvisation which is the vintage Berlin School. But we don't need to run away from it! Because quite slowly the music of “Abyss” makes its charm through some small jewels which make that its whole will eventually seduce. After the kind of ambient dub house which is "The Last Noise Particles", and its insidious melodic earworm, "Rainy Afternoon" stays in the field of dance music with a more supple rhythm, fed once again by a pattern beautiful of percussions and very melodious sequences. Astral, with its hoops of iodized lights, the melody is whistling such as ectoplasmic lamentations and haunts ears which forgot at times the sound of the rainy drops. "After the Rain" is another beautiful small track is which exploits the kind of ambient dub. More hammering and more alive than "The Last Noise Particles", "Synopsis" reminds me a little of Spyra with these notes of electric piano which drag a quite fragile melody in a pattern of boiling sequences and their organic chirpings. It's a track with a good beat, such as "Lunar Electronics" which is clearly more of a ballad kind, even with its finely bumpy rhythm. 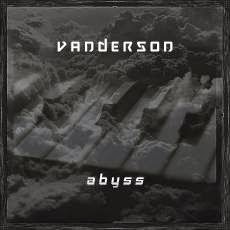 "Somewhere from Integrated Circuit" is the pearl of “Abyss” and makes us regret a little bit the orientation of Vanderson's last album. We always stay in the field of dance music, except that the Polish synthesist whitewashes his longest offering of “Abyss” of a very ambiospherical Berlin School gravy. The intro is cosmic and uses wisely its first seconds with astral waves which sing as of soft interstellar hummingbirds. The sequences get stir nervously. They drum an ambient and circular rhythm which winds beneath the choirs. Some other and colorful percussions invite each other in this static dance, paving the way to some heavy bass pulsations which remodel the ethereal airs in a great morphic cosmic techno. Veils of synth weaved in violin harmonies caress this linear rhythm which pounds between two opportunities but which always keep its hypnotic Teutonic touch. This is very good. In fact it sounds just like one of the most beautiful piece of EM this year so far. And Vanderson leaves us with another small piece of charm in order to conclude his “Abyss” with "Greetings from the Exile" and its very TD synth harmonies which blow over another nice ambient dub rhythm. This is great EM we have here. I admit that “Abyss” can faze those who were waiting an album of pure Berlin School. But if we listen carefully to his eight tracks, we notice that Maciej Wierzchowski doesn't go that far from these cosmic vibes of a kind which always seduces so much, even in its rather conservative approach. “Abyss” abounds in rhythms which control themselves rather easily. Even if the percussions and the sequences seem to compete to make the pulse burst in parts, these rhythms remain as ambient as some lost steps which run after their legs on an immense mattress of cellophane. The impression to float remains and we reach a very beautiful nirvana with the superb "Somewhere from Integrated Circuit". As I said higher; you should not run away because Vanderson is not that far from Spyra too. We have to admit that the link has enough to seduce! Joint Intelligence Committee, Arcane, Spank the Dark Monkey, Binar, Max van Richter, Paul Nagle and Paul Lawler. Discreet names, sometimes even forgotten, that have all they their influences in the evolution of EM, in particular the England School style. If one; Paul Nagle likes a music multicoloured of quirky tones, as well as a little more hammered rhythms, the other one; Paul Lawler, is rather a fan, and even a craftsman, of rhythms and ambiences of a little more chthonian Berlin School as well as a music a little more centred on the cinematographic pattern. The fusion of both visions could only give interesting results. Aeromancy is the result of this synthesis and “Jam Sessions Vol. 2” is their second mini album to appear since January 2013. The influence of Tangerine Dream, or his former members, encircles mainly the works of both accomplices in this crazy day of improvisation of July 9th in 2014. I say that because the introduction of "Aeromancy" releases the sweet sonic madnesses of the very attractive Wuivend Riet Part I from Johannes Schmoelling. Ambient, the intro is stuffed of organic tones and synth pads of which the strange symbiosis strolls around some fascinating elastic pulsations. Very slow and wrapped by dark wandering choirs, this weary rhythm hangs on to the cymbals and their tsitt-tsitts which run after the knocks of bass-drums a bit more sustained. Flooded by a sonic dryad as much organic as teasing and by synth pads flavored by choirs and by streaks to the garish colors, "Aeromancy" beats between our ears with this soft perfume of oddities which puts both ears on the alert while hypnotizing all its senses. I adore! The moods are decorated by TD's recollections of Going West with delicate breezes of indigo colors which float with some very beautiful nostalgic perfume and synth pads filled of distant voices which remind some fascinating aboriginal hooting on a driving and constantly hyper activate structure of rhythm. This is quite good. 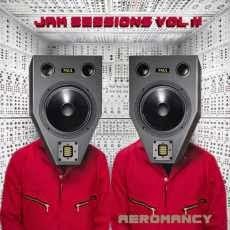 "Labyrinth" is my jewel on this “Jam Sessions Vol. 2”. It embraces the slowness of "Aeromancy" but with an even more intense organic sound fauna. The hits of percussions knock such as an object of greed to scatter thousands of electronic bugs which teem all over these ambiences and of which the stridulations are gradually covered by synth pads. And their vaguely sibylline smells pour an attractive scent of threats, as well as strange chants which seem to come from the hot gorges of vuvuzelas. Mixing the beats of "Aeromancy" and "Drive", "Labyrinth" converges on a structure animated by percussions with some smooth aboriginal nuances. On the opposite of Jam Sessions Vol. 1, the latter improvised rendezvous of Paul Nagle and Paul Lawler offers an EM clearly more concentrated on lively rhythms. Rhythms which in the end are alike just as much as the ambiences and harmonies which are carried away by Johannes Schmoelling's souvenirs, for "Aeromancy" and "Labyrinth", and by Tangerine Dream's for "Drive" and the very catchy "Galaxy Zoo" which also seems to come straight out from some lost sessions of Franke, Froese and Schmoelling. And "Galaxy Zoo" goes out brutally; leaving furrows which resound in the ear and which explain why Aeromancy becomes as necessary as Perge and all these artists who navigate on the vestiges of the timeless trio of Franke, Froese and Schmoelling. I can see you frown again and ask yourself if a mini album which finds its source in a crazy day of improvisations justifies its presence on downloading platforms. A little as if Internet would have become an enormous cultural trash where all the ideas can be associated with works finely polished up. To this I would say that there are actually some goodies, as well as something not that good and other things rather very ordinary. With this fascinating troop of quirky tones which comes down like a swarm of fly on a delicious buffet forgot at the outside, “Jam Sessions Vol. 2” turns out to be a real feast for those who like exploring an endless sound universe in perpetual movement. Although very minimalist, the rhythms are charmingly hypnotics and their progression are subtly nuanced by a sonic decoration which reveals that Paul Nagle's immense talent becomes comfortably to the very vintage approaches of Paul (Arcane) Lawler's Berlin School visions. Treat yourself, this is very good. It takes some boldness to attack works as major as Poland and Logos! I am not a musician! Of the music, I know only its charms. But I remember very well having listened to an album and think; that, I would have made it in a different way. I would have added sequences and percussions (I like the sequenced rhythms) here and there. And I imagine that my tastes meet those of Graham Getty and Matthew Stringer, because the way they reshaped Poland and Logos seduced me very well. But does not attack monuments who wants! We know the boldness of Perge. The English duet is the only one to have dived into the atmospheres of Franke, Froese and Schmoelling with a so net precision in sounds, rhythms and vibes. Actually; we really have this impression to hear new sessions of the famous German trio by listening to the first 2 albums of Perge. Except that “Mythos Part One” leaves no room to ambiguity. If Dyad and Attalus showed a great originality in the art of getting into the spheres of Tangerine Dream, with compositions which flirted with the original essences of the mythical trio, this last album of Perge is a direct intervention, a reshaping in rule of certain parts of Poland and Logos. 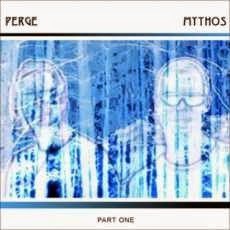 Moreover, the artwork of “Mythos Part One” is perfectly clear about the intentions of Perge. Splendidly, "Poloart" puts our emotions to the test with this approach so icy of Barbakane. The hair rises of our arm! The sound is sharply stronger and we dive directly into this cold rhythm where the resonances are buzzing and the sequences are sparkling on sober and so effective percussions. We are in Poland and we feel it. The duet brings an almost organic touch with colorful sounds which ice these ambiences so strangely ethereal which knew how to sing over an ice field. I would say that it's the best of Barbakane, you have to hear these sequences bicker like balls on a conveyor, mixing to the magnificent final of Horizon while passing shortly over all of the Poland album. The boldness comes from this line of bass sequences which gets loose and re shapes a line of rhythm which invades our ears with just what it is necessary of subtlety to think that it was maybe the very first outtake of Barbakane. Set apart this static rhythm which hits us in the face, the moods are adorned with the charms of synth pads perfumed of icy breezes, with synth riffs which scatter some embryonic bits always so melodious and with superb solos which dominate in the section originality. "Poloart"! It's 12 minutes of Barbakane with an attractive ambience passage which makes the transition towards this attractive autopsy of this track towards the splendid final of Horizon. Delicious and without smudges! After a very brief embrace with the Velvet Part of Logos, "Myth Rouge" drives us to the wonderful and memorable Red Part. Perge borrows then the paths of the 82 Logos tour with passages that seem to us familiar and of whom we do not arrive to identify clearly. I think that it's mainly the charm of this track. Bits of The Keep, notably the sequencing pattern, call out to our recollections, while that quite slowly Perge mixes passages known by the die-hard fans to some passages which are proper to the English duo. The ambient passage breathes with sequences which snore in the ethereal delights of the solos from a very melancholic synth. A bit of originality, still a little like if Edgar gave us some secret elements of Logos, which I like. And like that, the finale of "Myth Rouge" struggles our ears between influences which seem to go out of the madness of Horizon, concluding another one very attractive album of Perge which if seems to offend the ears of die-hard fans, knows how to charm just as much those of those who like simply its audacity. Very good, I wait and hope for a Mythos Part Two! The music of The Glimmer Room is undoubtedly one of the most beautiful, of the most romantic, even poetic, in the spheres of the modern EM. Rightly, I Remain remains doubtless the most sensitive and the most striking poetic work that have caressed my ears since moons. Why do I speak about The Glimmer Room? Well because The Long Night is a musical project which is parallel to the poetic universe of The Andy Codon. Except that here the music is purely ambient. And you are going to tell me that the music of The Glimmer Room is a kind of rather ambiospherical? It's true. But not as much as this one! A fragile note of piano falls. Its reverberation spreads a shadow of melancholic melody which pierces a fog that only our perception can see. We listen to "Our Waking Hours (Part I)" as we look through the window at our memories of a day of greyness where the rain leaves the care to the branches to exterminate its last tears. The notes of a piano, as pensive as meditative, scatter themselves on a bed of mist like the most fragile of the dews. Their strewed harmonies accompany the chirping of the morning birds while our heart always hesitates between the shadows and the brightness of a day that we do not know to be autumnal or spring. Borrowing the very ambient paths of the works calcified by harmonies froze in time, “Our Waking Hours” remains a very intimist album where Andy Codon pays a kind of tribute to Brian Eno. Everything here inhales this oniric delicacy which characterizes the very immersive music of Eno. 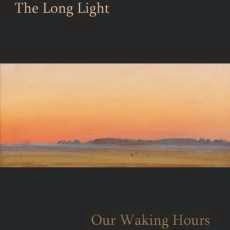 I like "Our Waking Hours (Part I)" and its inconsolable notes of piano of which the resonance in our ears ends to weave small melodic verses which enchant even the chirpings of our winged bandits of mornings. On the other hand "Our Waking Hours (Part II)" is less acoustic. The chords of piano are replaced by electronic similarities while the astral voices caress a melancholic sweetness which always floods its dreams in the singings of sparrows. If each part offers its analogies, their impacts remain different. We like the acoustic sweetness of "Our Waking Hours (Part I)" while the seraphic voices of "Our Waking Hours (Part II)" brings us to another level of contemplativity. But both parts remain as beautiful as soft. As poetic as oniric. And we surprise ourselves in wondering where flies the time, so much that our dreams fly away with its minutes. Sign of another very pleasant rendezvous with the very beautiful music of Andy Codon. And this is true, no matter the names he borrows.